Hard data on co-operatives and mutuals in Australia is a little scarce. Perhaps it’s because they cover so much territory – from the very large to the very local. 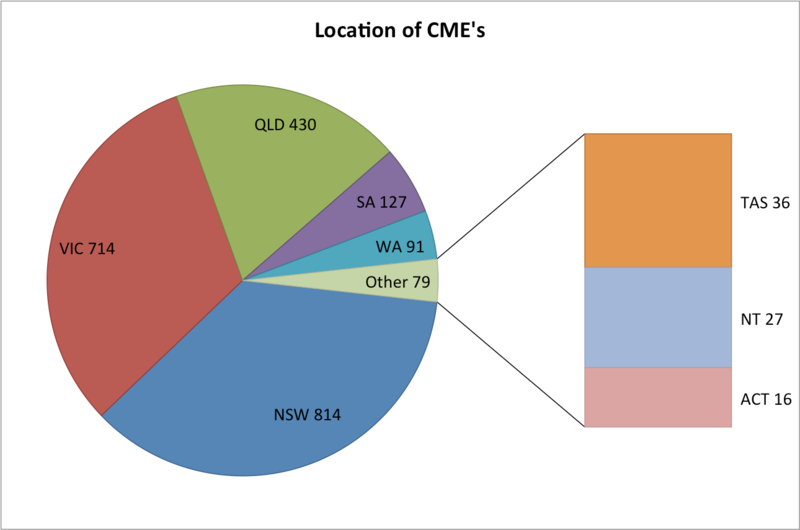 So some quick cuts from the CME database. 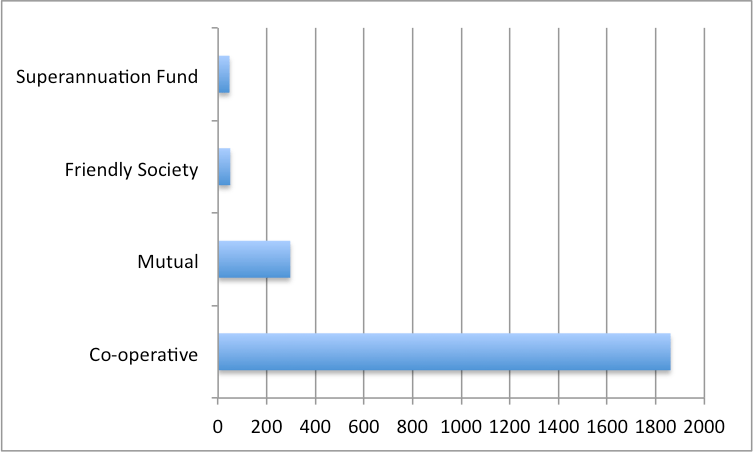 And the type is interesting insofar that if we mapped the same by assets or revenue rather than sheer number of entities, then it would be the exact opposite – superannuation funds would be the largest by a fair margin, then health funds… and coops. Community owned assets – The Housing and the Sports & Recreation sector are the most numerous by far – with groups as diverse as model railway operators to the Hells Angels using coops. 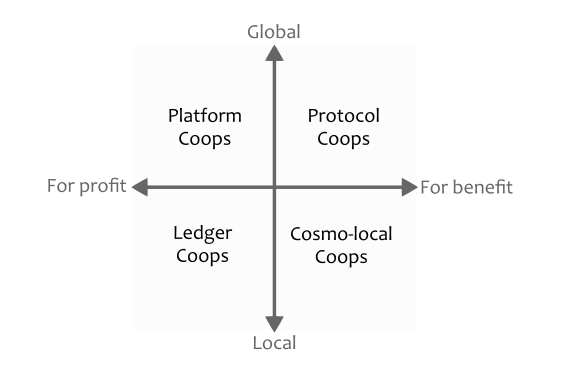 They often use coops as a mechanism to gather management and ownership of shared infrastructure. We’re seeing emerging interest in the coop housing sector for this purpose from specific demographics such as aged care or respite. Shared financial services – still going strong when it comes to aggregating consumers money with financial services (aka credit unions, building societies, mutual banks etc), health insurance, superannuation funds. Merger activity and rebranding is often leading these entities to become increasingly remote from the constituencies that created them. Education, Training & Childcare – numbers are swelled by public schools using favourable legislative treatment to create coops for building projects. Having said that, the childcare sector is another where workers and community can come together the use the coop structure to deliver better outcomes. Information & Media – the community radio sector in Australia is huge with some 22,000 volunteers contributing over $300m in value to the community. Notably, the local and community nature of these operations has provided natural protection against the disruption that has been rippling through this sector. Retailing – community ownership of retailers is a growing category of coops. So while most retailing coops are community owned stores there is also an emerging recognition that promoting consumer-ownership is the best defence against online disruption. If we follow in the footsteps of the UK, then we can expect more retailers to be acquired via coops – such as pubs, service stations, your local bakery. Utilities – current energy retailers are pricing their offers to promote the emergence of community owned energy providers. We’re seeing wide interest across Australia in renewable energy projects that are likely to leverage the coop model. Agribusiness and Fishing – Some of Australia’s more prominent agricultural coops were demutualised recently (Murray Goulburn and Namoi Cotton). Whether their members were better served by the coop structure is a moot point. Conversely, the federally funded Farming Together Program has sparked another crop of coops into existence. They are yet to appear in the data. Perhaps the biggest emerging trend is this sector is the wave of new technology that is being propelled at farmers. The potential impact on farmers has encouraged many to consider the role of coops in helping them manage their data both individually and in aggregate. Arts & Culture – with 8% of the Australian workforce now part of the gig economy, we are expecting to see the arrival of platform coops that can help these workers to aggregate their needs and better protect their interests. As the Arts & Culture sector has a long history in using coops to manage resources, they could be well placed to emulate the SMartEU and Stocksy models in Australia. Wholesalers, Professional Services, Purchasing Services & Shared Services – the industry aggregator coop remains alive and well despite the best efforts of Amazon. What is good data governance? Governance is a hashtag that has been growing in popularity. So it’s great to see the coop sector responding with the BCCM’s impending release of Co-operative and Mutual Enterprise Governance Principles for the Australian co-op and mutual sector. And folk like Coop News dedicating a Governance Edition to analyse the subject. We’re interested in how this emerging thinking applies to data. Data governance is the mechanism through which values and expectations with respect to data can be translated into effective management practices. By these definitions, good data governance is broader than legal frameworks or codes of practice – it bridges the gap between the expectations and values that folk have with respect to their data, and the mechanisms by which these are made tangible. It encompasses legal documentation and decision-making protocols that are agreed between the actors involved. And it includes the social interactions that enable these to be made real. The Cambridge Analytics seraglio exposed the under-belly of the market that preys on our data. And the GDPR has done wonders for focussing attention on data management practices. Next step is to get some clarity around the governance practices that will lay the foundation for better matching of expectations with practice.